Hyderabad, Oct 12 (PTI) Australian selector Mark Waugh has lamented the length of the team's limited-overs tour of India. 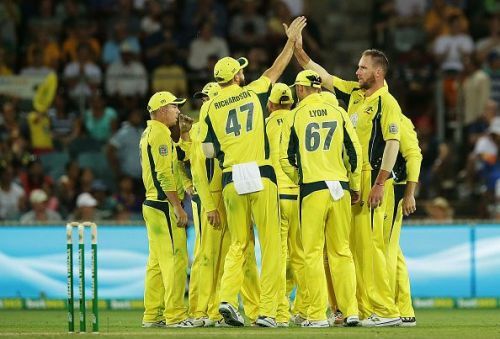 Readying to play their final T20 International here tomorrow, Australia's limited-overs tour started with the first ODI on September 17. The sojourn comprised five One- dayers and three T20 Internationals. Former batsman Waugh, who's travelling India with the side, would have preferred players have more time off with the Ashes around the corner. "It's got to be said, it's not an ideal time to be away from Australia," Waugh told Sky Sports Radio today. "This series has been a bit spread out. It would have been better probably if it was a week or two shorter." The retired batting great said the early departures from the subcontinent of captain Steve Smith and fast bowlers Mitchell Star and Pat Cummins were a blessing. "Once they get home, they'll have a little break then they'll be back focused on red ball cricket, then the Ashes," Waugh said. "The players are pretty much used to it; it's probably more the travelling, flying around.